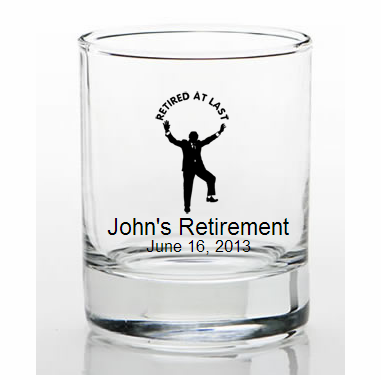 A practical keepsake, these personalized shot glasses retirement favors will be cherished by guests. 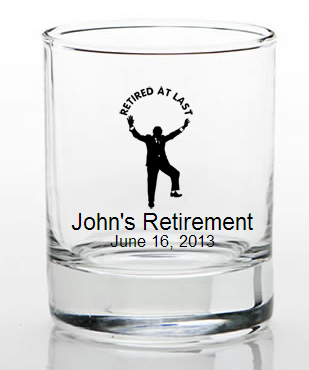 Place the name of the guest of honor and retirement date for a lasting gift. Each favor measures 2.5" tall x 2" in diameter, with a 3.5 ounce capacity, in a classic shot glass/votive holder shape with a thick glass base. Made in the USA, each is made of clear glass and they?re perfectly fitted to be silk screened with amazing accuracy directly on the glass in a wide variety of all occasion themes, designs, and colors. 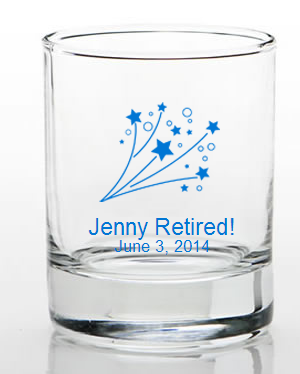 These personalized cordial/shot glass favors come bulk packed.